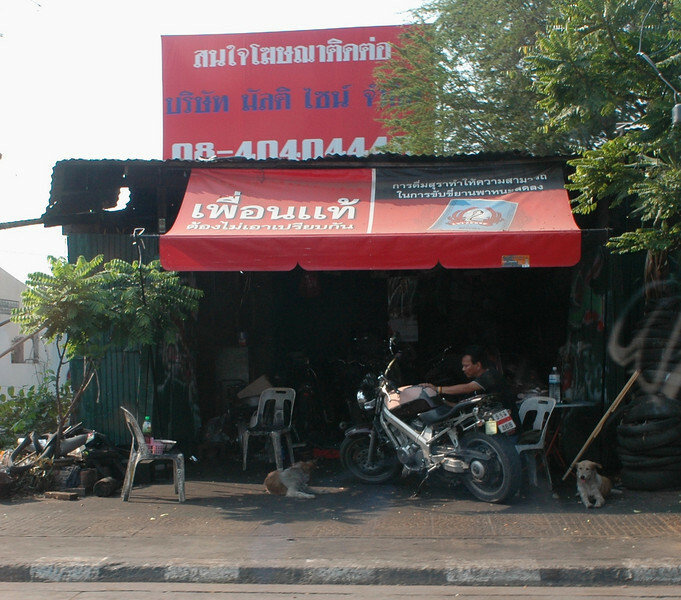 dogs hang out at a motorcycle repair shop. Stray dogs are very common in Thailand. They hang out right along side the people, often sleeping right next to the roadway. They all seem as friendly as the people.